Why are so many rock stars killing themselves? Today is Saturday. I am sitting here in a Starbucks thinking of something to write about. I have my earphones on with no music playing, and my mood is upbeat, well, as upbeat as it usually is on a Saturday. There’s a lot to look forward to. Scotland next year. Losing more weight, getting to do more interesting work at my job, making new friends. Last week I said I was going to take up Podcasting. 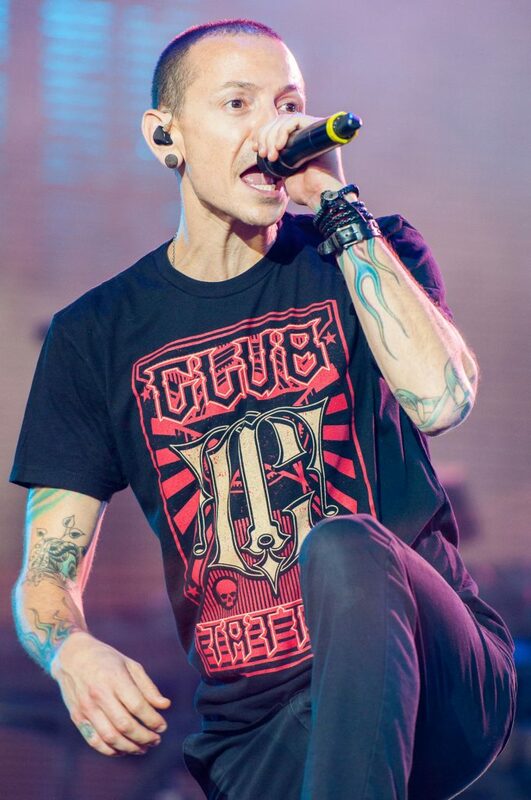 So I was thinking of stories to talk about for the podcast but couldn’t come up with any that stood out this week, other than Chester Bennington the young guy who passed away. This gifted musician had so much to live for, he had 6 children. I imagine they are all very sad about losing their Dad. Why are so many gifted rock stars killing themselves? They say he was hit hard by the loss of his friend Chris Cornell, who took his own life a few months ago. I also read that he struggled with addiction and depression. Like everyone else I’m looking for answers. He must have been in a lot of pain to completely forget his children and the things that make life worth living. But then again, when someone is so depressed like that, it doesn’t really matter does it? They want to break free and let go. Robin Williams wanted to break free and let go. Phillip Seymour-Hoffman wanted to break free and let go. I guess I just think it’s sad that someone with so much talent and so much to live for can throw it all away like that. I need to keep thinking about what is important in life, I need to appreciate the blue sky, and the smile on my friend’s face, and those little moments that make up a life. Those little jokes. The triumphs, and the joy in living a life that matters. We all matter to someone else, every one of us. We should also be there for our friends when they are down or struggling with loneliness. It can be a cruel beast.